Prominent & Leading Wholesale Distributor from Bengaluru, we offer smb t200b contraceptive device, smb cu250, tubal rings, smb t380a copper-t, iud smb-cu375 and copper t 380 plus. 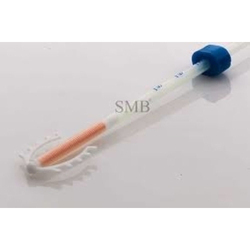 SMB T200B Contraceptive Device is a highly contraceptive device used to control pregnancy for 3 years. 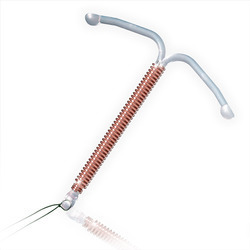 Our range includes another contraceptive device for 10 years, namely SMB 380A. These products are highly reliable and works flawlessly till the respective time span ensuring no pregnancy at all. Our products are sourced from reliable vendors who use modern tools and updated technology to fabricate them. It is a contraceptive device which can stay inside the uterus up to 3 years. Smb cu250 is a contraceptive device which can stay in the uterus upto 3 years. These IUCD have got excellent reliability as these products have got CE marking and the manufacturer has got GMP & ISO certification. Each umbrella shaped SMB Copper 250 (Cu 250) frame is made from compound of Low Density Polyethylene and Barium Sulphate (15% - 24%) with two flexible arms with spurs. A copper wire (diameter 0.30mm) is wound around the stem, giving a total copper surface area of 250mm2 +-10mm2. The frame is equipped with monofilament nylon (suture) for easy removal. 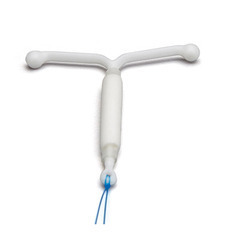 The flexible side arms ensure that IUD remains in position as high as possible against the fundus , without the uterine cavity being stretched at all. Tubal Rings are mainly used as a permanent sort of contraception techniques where the fallopian tubes are blocked by rings which results in stoppage of blood circualtion to these tissues & results in degeneration of the tissues. These rings prevents the oocytes to enter into the Uterus as the fallopian tubes are blocked. These are manufactured under highly sterile conditions and are very reliable. We offer wide range of SMB T380A Copper-T, which is a highly contraceptive device used to control pregnancy. These products are highly reliable and ensure no pregnancy at all. We procure our products from the most trusted vendors of the market who manufacture these products using latest techniques and methodology. 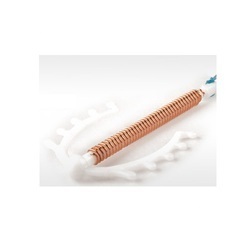 SMB Copper T 380A is 99% effective Intrauterine Contraceptive Device It does not affect Female hormonal system. It is a contraceptive device which can stay inside the uterus up to 5 years. Each SMB Copper 375 (Cu 375) frame is made from compound of Low Density Polyethylene and Barium Sulphate (15% - 24%) with two flexible arms with spurs. A OFE Copper wire (Diameter 0.39 mm ± 0.01 mm) is wound around the stem, giving a total copper surface area of 375mm2 ±20mm2. 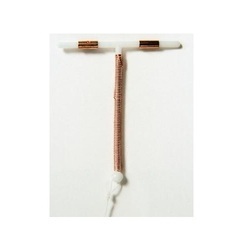 Copper T 380 Plus is a contraceptive device which can stay in the Uterus upto 5 years. The T is equipped with polyamide monofilament thread (suture) for easy removal. It is packed together with an insertion tube and rod in a peelable pouch. Intrauterine System (IUS) consists of a Plastic frame with a reservoir containing drug Levonorgestrel. Levonorgestrel (LNG) hormone is also found in other oral contraceptives. This drug reservoir releases a low daily a micro dose of (LNG) into the uterine cavity. 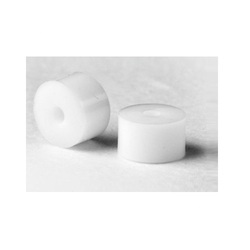 The cylinder/reservoir of the device contains hormone and is provided with a rate controlling membrane tubing that regulates the release of Levonorgestrel- LNG. The IUS releases the hormone at approximate rate of 20 micrograms per day and effective for five years. IUS is a reversible contraceptive device & has high success rate and several non-contraceptive benefits too. Eloira intrauterine contraceptive device is embedded into the uterus by skilled provider. This contraceptive device is thought to be a standout amongst the best forms of birth control device available today. 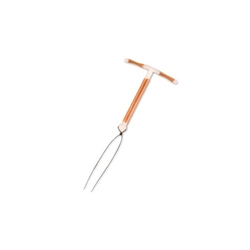 Looking for Intrauterine Contraceptive Device ?